STEAM network. since its release, The Withering as recevied a MIXED review thru the steam community. Though, many of these reviews were written before the updates. Most recently, the game received a wilderness update on june 17th,2018 which now adds in a full scale wilderness free roam area. This can be one of the real challenges for game developers that decide to release there game to the market when its not complete. "The Withering" is a modern world post apocalyptic survival horror simulator. The story puts players in a world where a terrible viral infection wiped 90% of the population, which in return triggered a series of catastrophic events laying devastation on already dying world. For instance, even though The Withering as received a live update and the wilderness is playable, there still a lot of detail missing from this new area. The landscape still needs to be worked on, spawn points need to be added and current spawn points need to be adjusted. 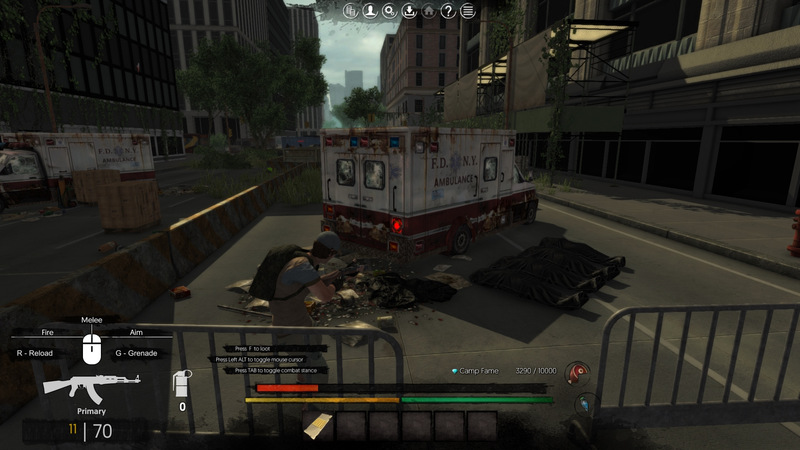 The gameplay consists of two elements, survivors camp management and action survival simulation. 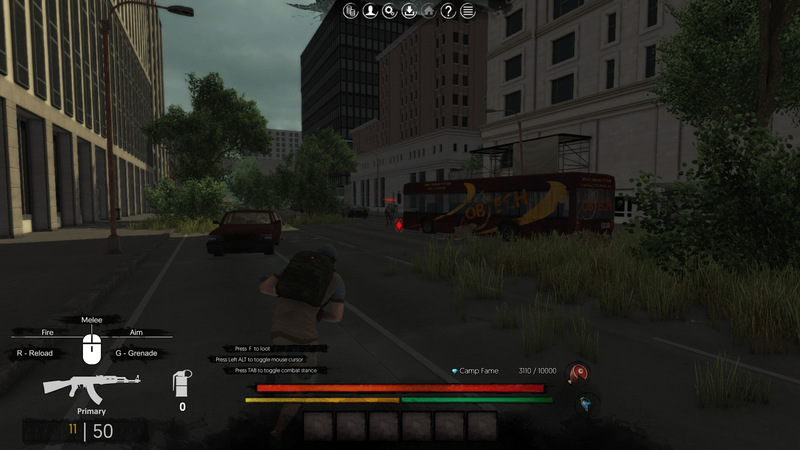 The management gameplay allows players take control of a survivors camp and manage it's population by assigning different tasks, constructing building upgrades, and managing production, trade and diplomacy. Players will also have to make decisions when initiating radio tower mission events. making each gameplay experience different. Craft and equip your survivors with different gear to help them on their scavenging runs. 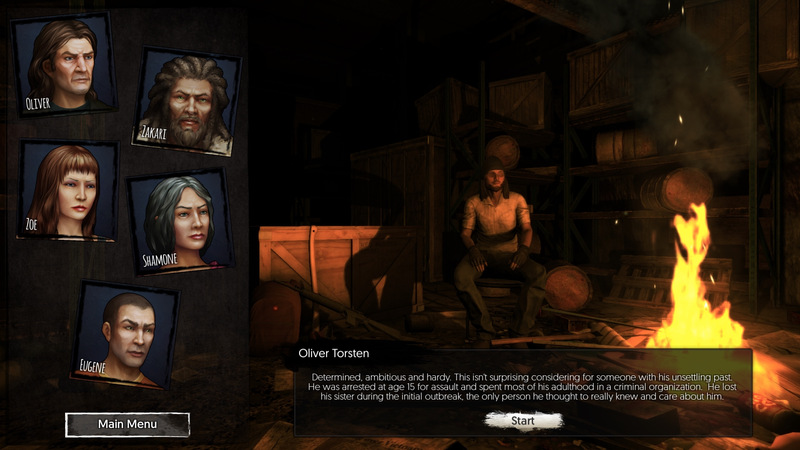 Player are also able to take control of the hero survivors in their camp, and at any time leave their camp to explore the dying world. Taking control of their characters in a third person action / simulator to scavenge resources, materials and equipment that can be brought back to their camp and used in production, upgrades or trade. Random in world events and loot drops and different enemy types will make each play through different. Develop your character stats to increase melee and firearms skills as well as character physical performance by equipping different gear types that provide your character with different bonuses. $9.99 it can certainly be worth trieing out.